Our Wilderness Camping Program provides an educational experience that is definitely unique. 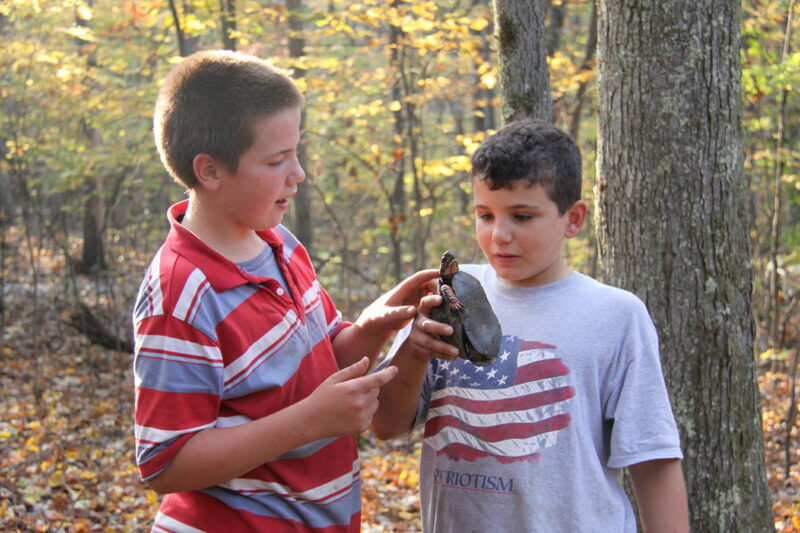 Because most troubled boys have difficulty learning in the traditional classroom setting, Wilderness Camp education is approached in an informal, hands-on way. Learning is not confined to a classroom, but is an everyday, all-day experience. Academics are built into the daily routines and activities. Each camper is taught to use practical mathematics in the designing and construction of the tents. Weekly meal planning and cooking provides opportunity to learn about nutrition, budgeting, and home economics. 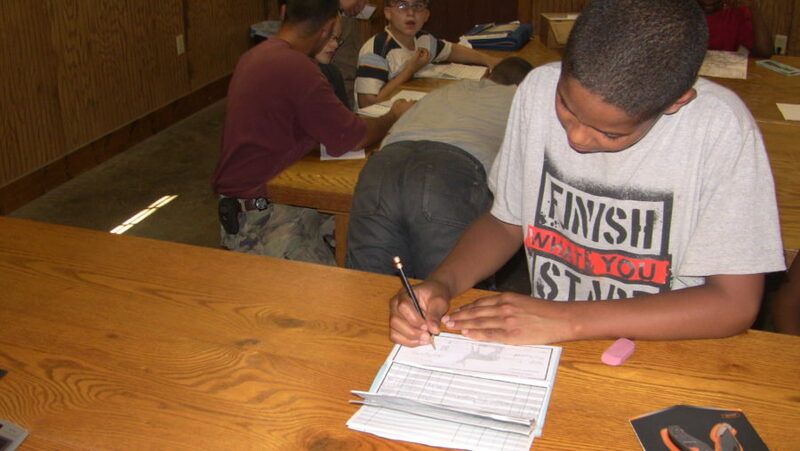 Each week, campers visit the Trading Post, the Wilderness Camp store where they learn to write checks and keep checking accounts. When the group plans the weekly schedule, a boy is required to cooperate creatively with others, and put his thoughts into words on paper. 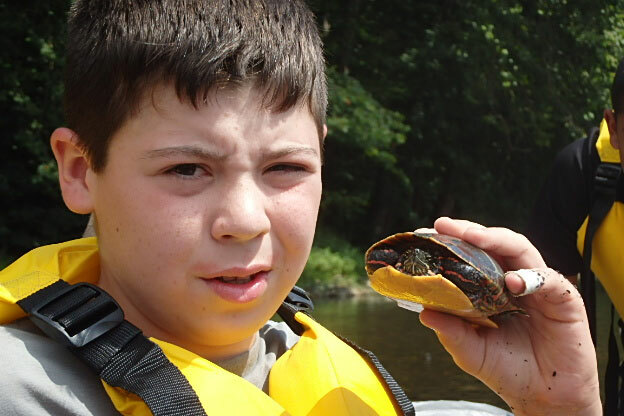 Once a camper is initiated into the Wilderness Camping Program and has mastered the basic camping routines, he is assigned book work based on his individual level. Individual tutoring is provided to campers with a difficulty in certain subjects. In all of camp learning, there is an emphasis placed on writing. All the writing a boy does at camp – articles, journals, tent designs, daily plans, poetry, drawings, is compiled into a portfolio that becomes his own when he graduates. Our academic program aims at preparing a boy to return to a conventional school setting. 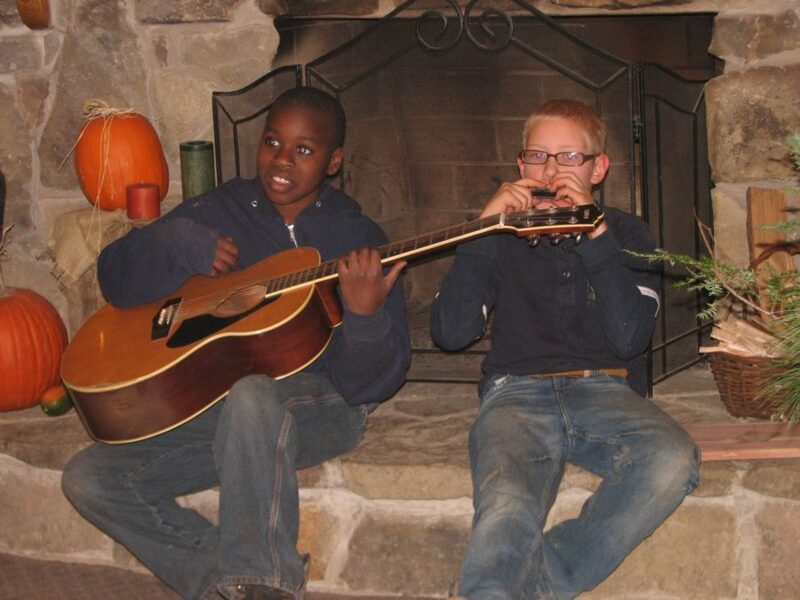 Upon completing the Camping Program, camp staff help the boy and his family create a smooth transition to the standard educational environment. 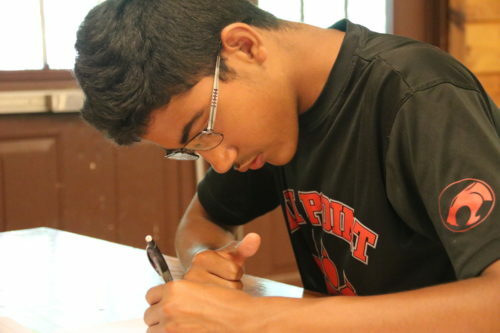 Achievement testing is used to determine the academic progress of each camper during the enrollment period and aids us in placing the boy in the appropriate academic setting after graduation. in an informal, hands-on way.